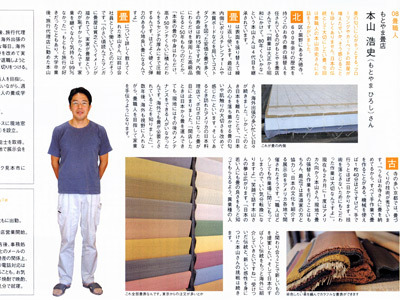 “Risonare” February, 2011, ‘Kijin Hodan’. 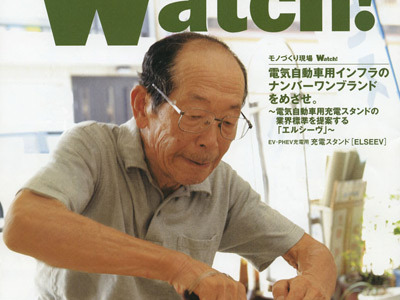 Panasonic Tomono-kai “Watch!” Vol. 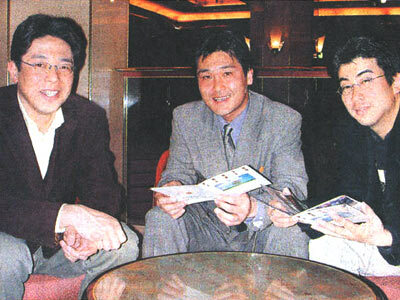 33: ‘Ichizu-na-hito. 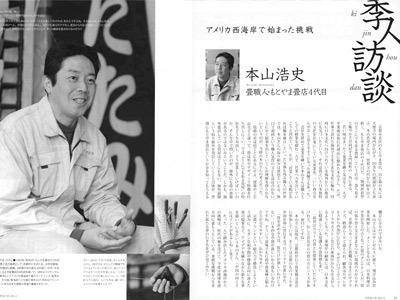 “Ciao”, November, 2005: ‘Behind the Scenes of the Work; A style of working’. 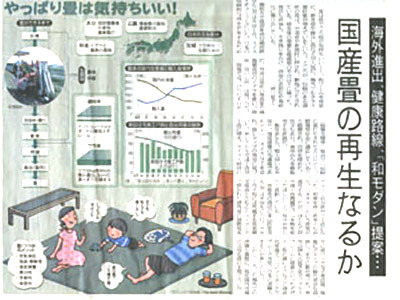 Kyoto Shimbun, July, 2005: “Kyoto Brand Taking on a Challenge”. 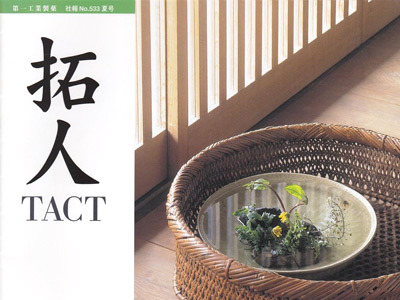 “Tact”, June, 2005: ‘Visiting Tact (Pioneering people), Takumi (Master Craftsman) in Kyoto’. 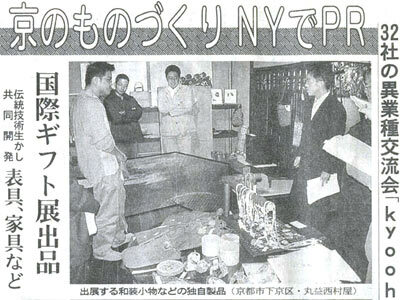 Kyoto Shimbun, January, 2005: “Promotion of ‘Manufacturing in Kyoto’ in New York”. 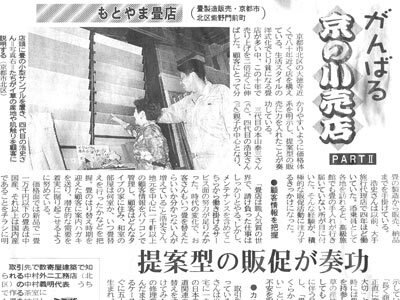 Kyoto Shimbun, October, 2004: “Shops in Kyoto, Working Hard”. 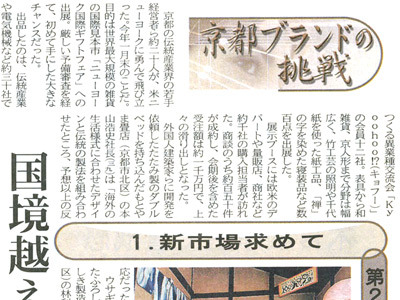 Kyoto Shimbun, April, 2003: “Introducing Kyoto’s Traditional Technique in the UK”. 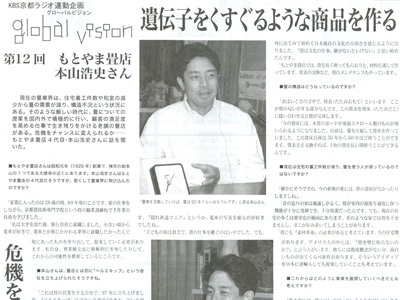 Kyoto Economic Journal, October, 2002: “Global Vision”.